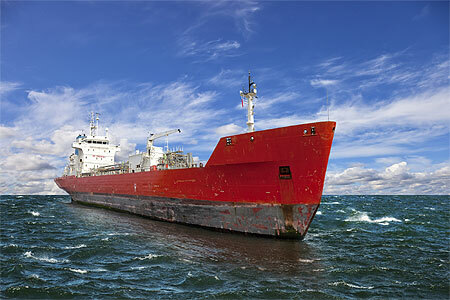 Ballast water filtration and separation systems have become extremely important in modern ships. Since the introduction of steel hulled vessels around 120 years ago, water has been used as a ballast to stabilize vessels at sea. Ballast water is pumped in to maintain the ship’s balance, stability and safe operating conditions throughout a voyage. This water ballast practice reduces stress on the ship’s hull, provides transverse stability, improves propulsion and the ship’s maneuverability, and compensates for weight lost due to the consumption of fuel and water throughout the trip. While ballast water is essential for modern, safe and efficient shipping operations, it can pose serious ecological, economic and human health-related problems due to the multitude of marine life carried in it within the ship. This marine life includes everything from bacteria and microbes, to small invertebrate animals, eggs, larvae of various species, etc. These organisms and animals may survive to reproduce and establish a population in the host environment (the ship), becoming invasive and multiplying into bigger problems. The 2004 IMO International Convention for the Control and Management of Ships’ Ballast Water and Sediments stipulates in Section B that all ships shall remove and dispose of sediments from spaces designated to carry ballast water in accordance with the ship’s Ballast Water Management plan. Many organisms have evolved and adapted to a capacity where they can endure stressful environments such as low dissolved oxygen concentration, desiccation, or toxins. Thus, ballast water filtration and separation is the best way to eliminate these organisms, as well as other sediment, prior to a main disinfection treatment. In order to meet proposed US standards anticipated to be 100x more restrictive than IMO specifications, this type of ballast water filtration is essential. CentraSep Centrifuges is the proven leader in separating and filtering all types of solids from liquid. Since 1981, CentraSep Centrifuges has specialized in solving problems through application engineering. Nowhere is this problem-solving approach more apparent than with our innovative centrifuge system, which was created after listening to customer challenges and needs in the filtration, separation and maintenance industry. CentraSep Centrifuges can offer you savings in labor expenses, solids disposal costs, filter media and inventory costs, and water and chemical replacement costs. Contact us today to see how CentraSep Centrifuges can help you with your ballast water filtration and separation application. Talk to one of our Engineers today to see how we can help with your ballast water filtration and separation needs.